The City of Casselberry started as a vision in one man’s mind, Hibbard Casselberry, and today is a growing metropolis. In 2004, the official population estimate is 24,735 a far cry from the population of 407 in 1950. Today, Casselberry encompasses an area of approximately eight square miles, including more than two dozen lakes, the largest of which are Lake Howell, Lake Kathryn and the Triplet Chain of Lakes. Within Casselberry there are two public schools, Casselberry Elementary and South Seminole Middle School and two private schools, Kenworthy School and The Geneva School. 1849: A blockhouse called Fort Concord in constructed on the northeast shore of Lake Concord to protect local settlers during the Seminole Wars. 1880’s: Families begin homesteading in the area. 1885: Concord Church & Cemetery is established near Lake Ellen. 1889: Annie E. Griffin plats the first subdivision of what will become Fern Park Estates around Lake Griffin and Lake Lotus. 1903: Evergreen Cemetery is established for the local African-American community. 1925: Gordon J. Barnett incorporates Barnett Fern Company and begins developing Fern Park Estates. Late 1920’s: Hibbard Casselberry, 33, of Winnetka, Illinois, a Chicago suburb, visits his wife’s aunt in Winter Park. After a drive he sees some “pretty land” along a new state highway. He meets Barnett and signs on as his sales agent for his new housing development and fernery. 1927: Hibbard Casselberry buys land south of Fern Park Estates and plats Casselberry’s addition to Fern Park Estates. 1928: Hibbard Casselberry plats Winter Park Ferneries and begins developing one of the world’s largest ferneries around his housing development. 1929: The Fern Park Post Office is built. 1937: Trains stop at a nearby depot just north of the fernery and housing development to deliver lumber, fertilizer and oil. 1940, Oct. 10: Casselberry is incorporated as a tax-free town. It has a population of approximately 100. 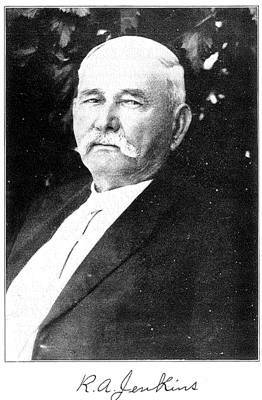 Hibbard Casselberry is the town’s first mayor. 1941: Tally Hattaway is elected as the first town marshal. He is re-elected for nine consecutive years. 1942-1946: The town gets out of the fern growing business and begins producing bomb parachutes and hospital tent liners to support our troops in WWII. 1950: The Town of Casselberry purchases its first police car. 1959: Due to the rapid population growth, the United States government opens a separate post office for the Town of Casselberry. 1960: The Town of Casselberry purchases its second police car, hires an assistant marshal and a relief policeman. The two police cars are equipped with shortwave radios. 1965, May 15: A large sinkhole swallows a home on Northmoor Road and damages many others. 1965, July 25: The Town of Casselberry is reincorporated as a City. Casselberry is 25 years old and the second largest city in Seminole County. Public taxes also begin with a utility tax (paying for water). A Police Department is established ending the era of the town marshal. 1966, January: Kenneth Triplett is appointed as the City’s first Chief of Police. 1969: Hibbard Casselberry dies at age 76. 1976: Casselberry’s voters agree to have property taxes. The city is no longer what it started out as -- a “tax-free town”. 1990: Casselberry citizens vote to end a strong mayor form of government. 1991: A City Manager is hired in to oversee the day-to-day operations of the City. The City of Casselberry is governed by a Commission/City Manager form of municipal government. A Mayor and four-member Commission are elected for staggered four-year terms. A City Manager is employed to oversee daily City operations. The City provides services for water/sewer utility, sanitation, road maintenance, parks and recreation, planning and community development, and police.